Recently there has been some controversy regarding the use of electronic surveillance by various government entities. Here locally, the Village of Elmwood place has been in the news due to their spitting contest with Judge Robert Ruehlman. Apparently the village idiots. . .I mean the village overlords. . .I mean whoever is in charge of the village installed speed trap cameras. Before long the citizens were up in arms at the use of these cameras. Instead of using them in a judicious fashion, the plan was to bilk as much cash out of the citizenry as possible. This was accomplished by setting ridiculously low thresholds on the speed that would generate the speeding ticket. I believe it was set for three miles over the limit. Most speedometers are not that accurate and even if they are, it is easy to drift five or six miles over the limit before it is noticed and corrective action can be taken by the driver. After all, it is considered a good practice to occasionally watch the road and not the speedometer. It is my opinion that speed cameras and red light cameras do not do what is generally considered the reason for traffic enforcement, safety and accident reduction. The lack of human interaction can be frustrating to the average citizen caught by an electronic device instead of a police officer. There are advantages on both sides of the coin for the human enforcement. For example, if a person is driving home late at night, approaches an intersection, can clearly see the there is no traffic in any direction, may ease through the red light and make a right turn. The rad light camera says you are caught, here is your ticket, no ifs, ands, or buts. The same scenario, but with a police officer would be different. Admittedly, the outcome could be the same, but not necessarily. 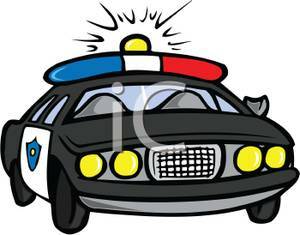 When the police officer witnesses the infraction, he or she now have probable cause to make a traffic stop and to investigate the infraction. This provides them the opportunity to ascertain who you are, if you have been drinking, why you are out late at night, etc. Depending on the interaction between you and the police officer can make a difference in whether you receive a ticket, or a warning. The red light camera enforces the law but does not know who or what you are about. Revenue has been generated, but a drunk or a criminal may continue on their way. The two-way interaction goes both ways. It can be frustrating to a citizen to receive a traffic ticket in the mail and never had the opportunity to confront their accuser, either at the time, or later in court. Constitutional issues aside, it can be very frustration to the violator if they cannot express themselves with pertinent questions. One cannot ask a red light camera “don’t you have anything better to do”, or “the place is overrun with real criminals and you stop me?. A red light camera does not care that you are a personal friend of the police chief or the mayor. A traffic camera has no built-in compassion and could care less that you are in a hurry to get to your sick child, or because you really, really have to pee, or because you are really sorry and you weren’t paying attention, and it won’t happen again. In short, we all have a need to plead our case at the time we are caught, sometimes rightly so. Things are not always as they seem. Originally I intended that this blog article would be about electronic surveillance devices, not just speed and red light cameras. I was going to discuss License Plate Readers (LPR) and crime cameras that are popping up on poles all over the city. Since I like to keep these blog articles only long enough to sustain a bathroom break, the other two will have to be discussed at a later date. Here is a clue, I think both have value, and both have the potential for government abuse. So as they say, stay tuned for more. Feel free to comment in the space provided below, or click on an icon to like and share with your favorite social media site. Please consider subscribing. They have nothing to do with public safety, its all about the money. A judge just ordered the equipment in Elmwood seized and money returned the other day. Nothing but a money grab by that city. The cost of the infraction is also ludicrous.